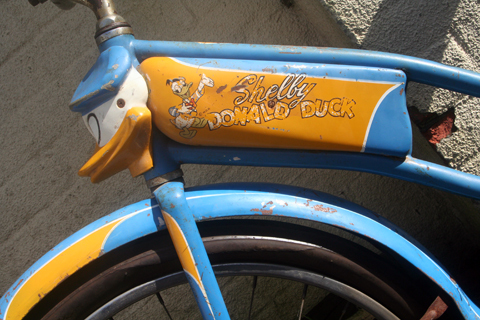 It’s delightfully original. 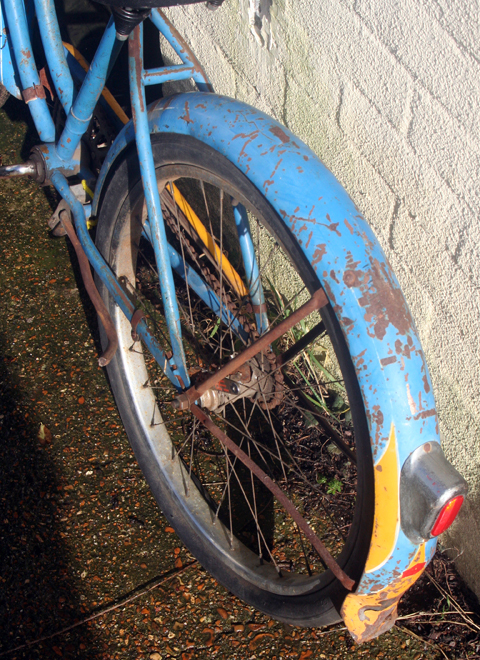 Apart from fitting new tyres and restoring it mechanically, I’ll leave it exactly like that. 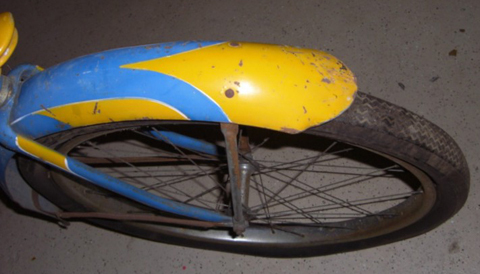 BOYS AND GIRLS! 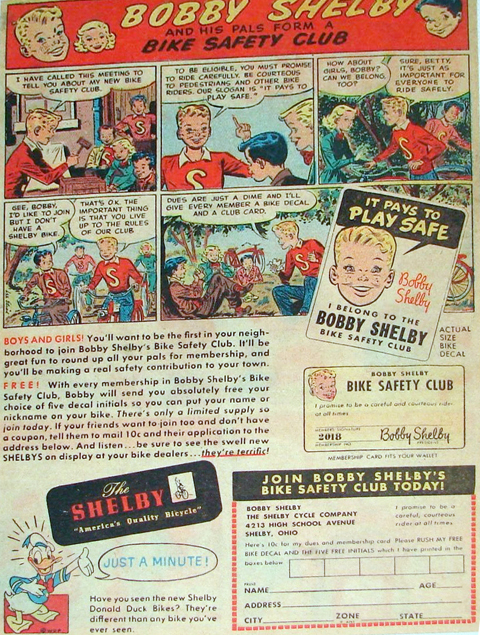 You’ll want to be the first in your neighbourhood to join Bobby Shelby’s Bike Safety Club. 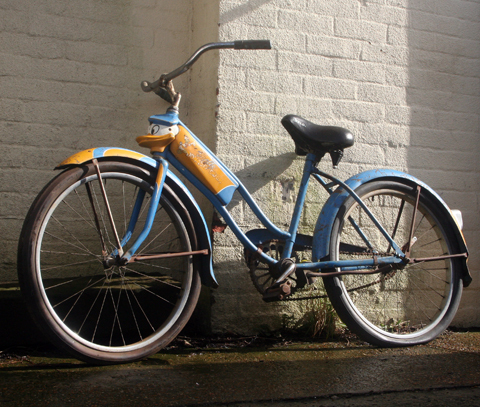 It’ll be great fun to round up all your pals for membership, and you’ll be making a real contribution to your town. 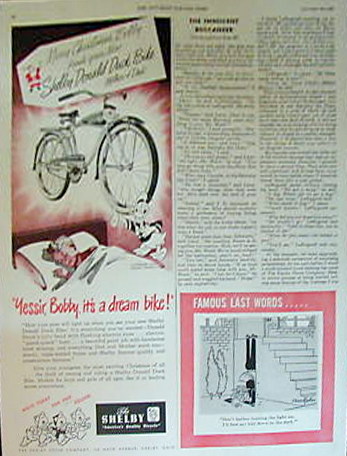 Although Rollfast’s Hopalong Cassidy bicycle range was the biggest-selling character bicycle, Shelby had actually been the first to make one. 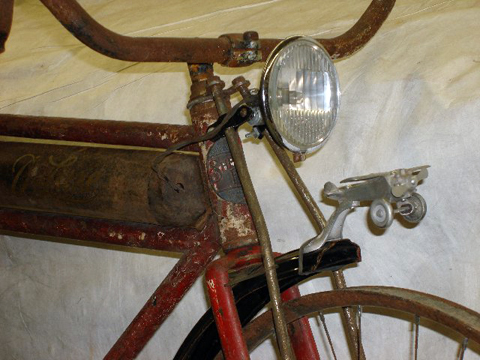 Their 1928 Lindy Bicycle (above) celebrated Charles Lindbergh’s record-breaking solo transatlantic flight on May 20–21, 1927. 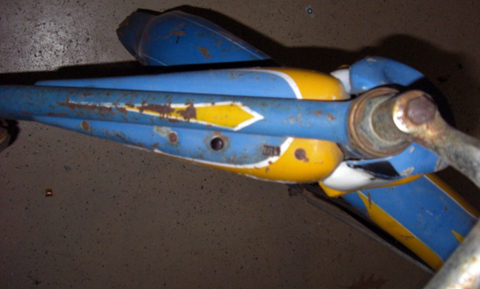 It featured a miniature ‘Spirit of St. Louis’ airplane on the front fender whose propellor rotated as the bicycle moved forward. 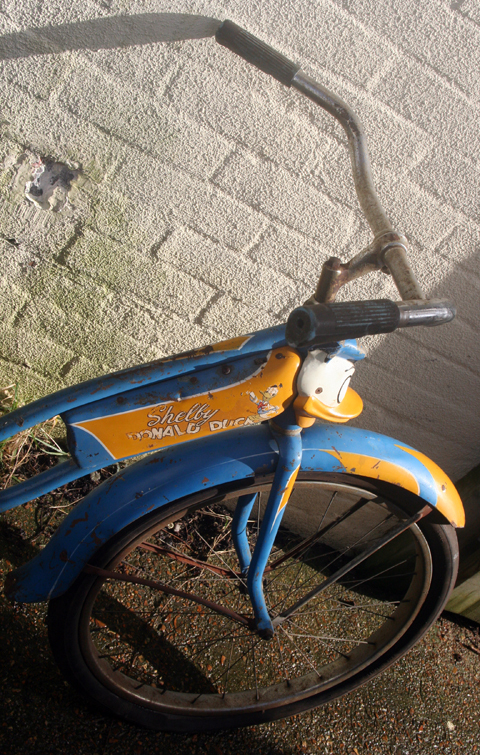 I’m advertising one of these bikes on the http://www.BuyVintage.co.uk website, so to read more about the Lindy (and also the early history of Shelby Cycle Co) PLEASE CLICK HERE. 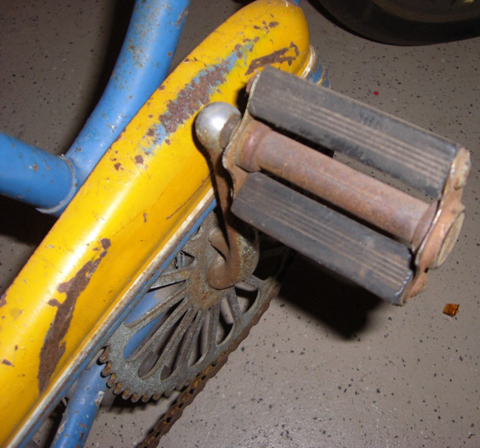 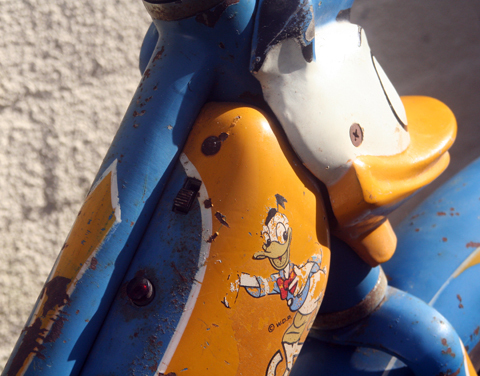 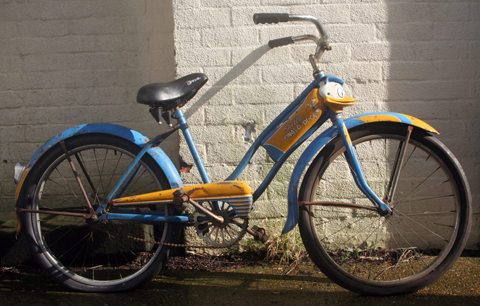 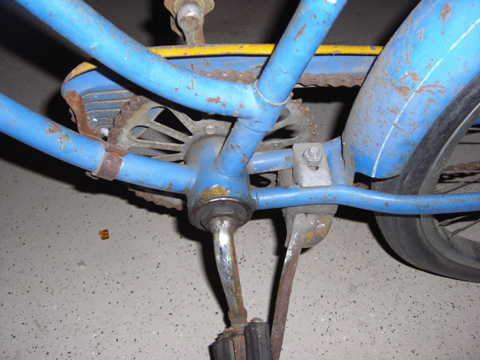 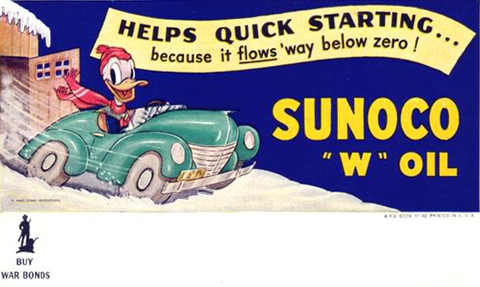 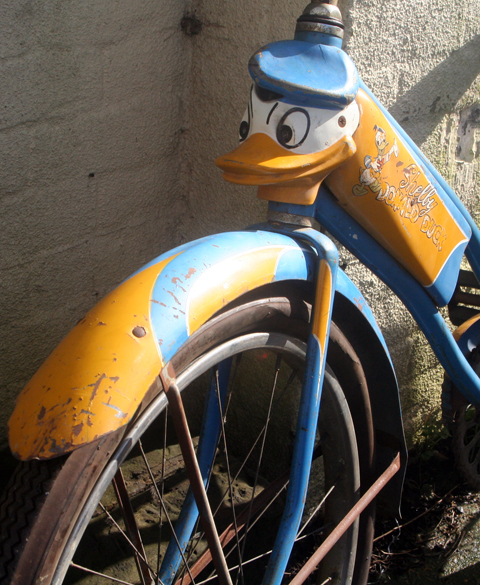 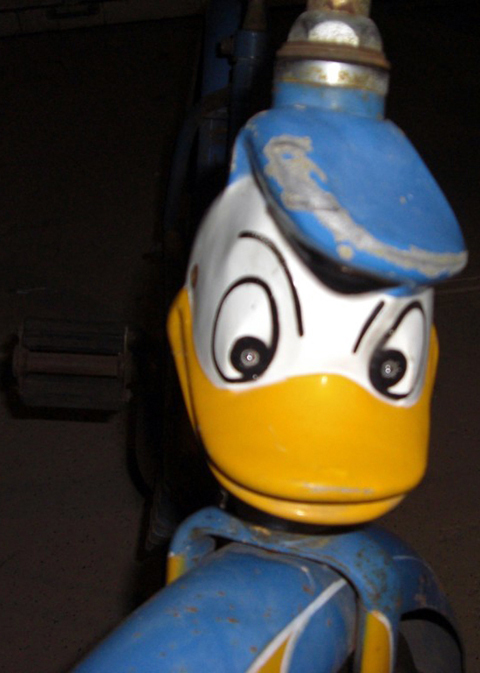 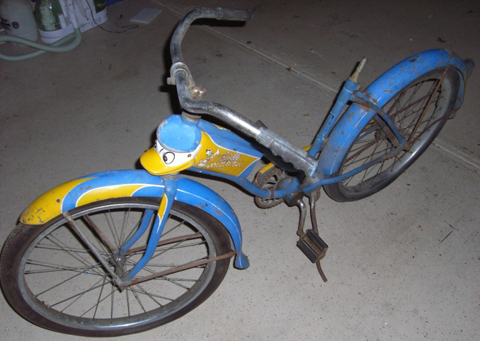 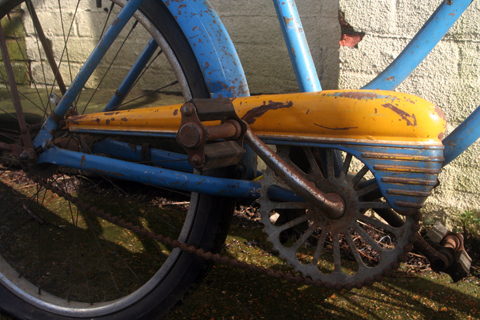 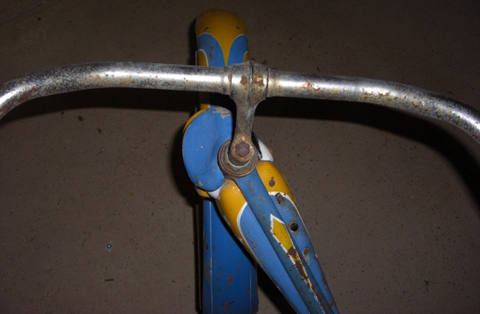 But for young riders in postwar America a Donald Duck bicycle would have been a dream bike. 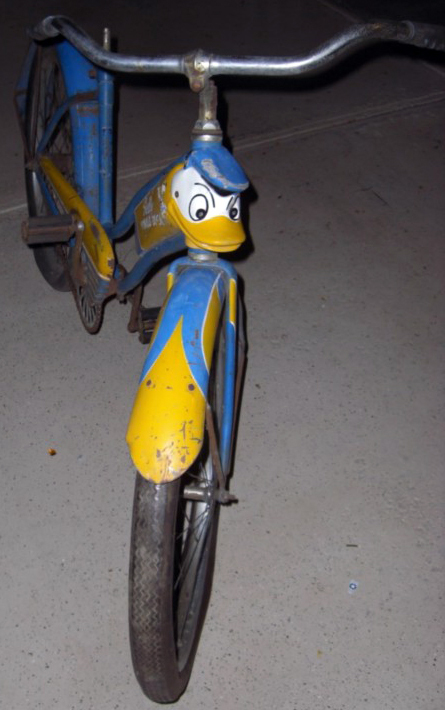 My two-year-old daughter loves it, though I have a feeling that by the time she’s old enough to ride it she’ll have long grown out of Donald Duck. 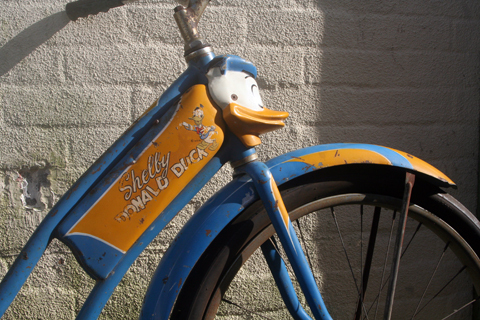 Shelby Cycle Co created some fabulous bicycles. 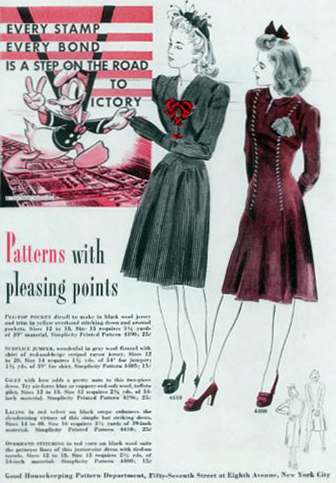 They supplied large chain stores such as Montgomery Ward, Spiegel and Gambles. 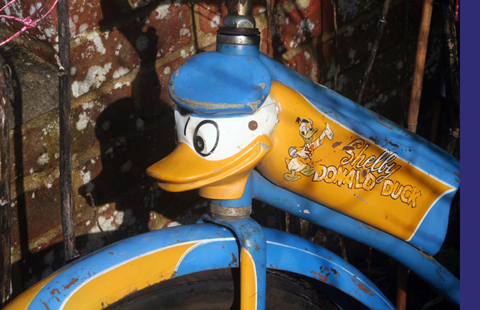 I can imagine a Donald Duck bike selling better in a department store than in a bicycle shop. 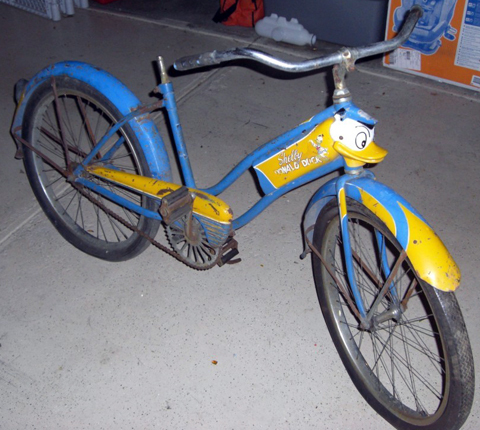 The paint scheme is quite imaginative: the girls bike is blue with yellow parts, while the boys bike is yellow with blue parts. 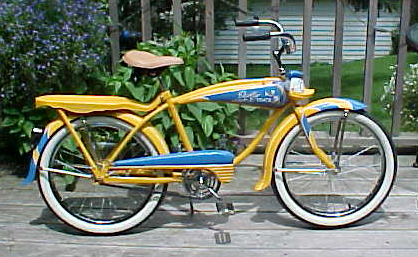 Compare my friend Ed’s restored 20″ boys bike below.